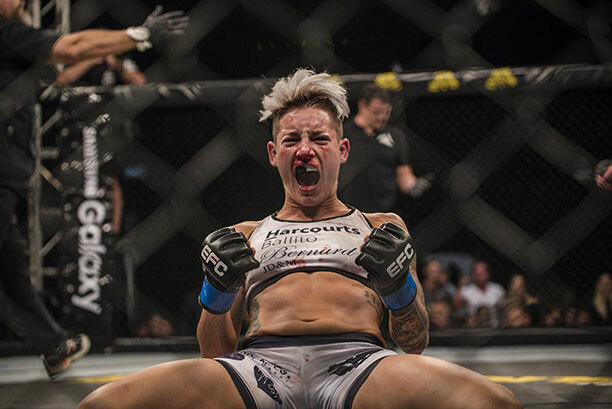 Durban, South Africa – A new chapter in the history of EFC was written tonight, when Durban’s Amanda ‘Mad Dog’ Lino took the inaugural EFC women’s flyweight title, defeating Pretoria’s ‘Demolition’ Jacqui Trosee. Durban’s faithful gathered in the sold out Sun Park Arena to witness the title fight, which enthralled all with brutal striking. Lino kicked the fight off with her trademark aggression, causing significant damage to the face of Trosee with on point punches and ground and pound. But Trosee was tenacious, absorbing the punishment and keeping ‘Mad Dog’ on her toes with tough counter punches. Lino had a clear advantage over Trosee in the clinch, taking her down with slick hip throws almost at will, and the top pressure began to mount, draining Trosee. Lino was able to capitalize in the second round, sinking an armbar that forced Trosee to tap. 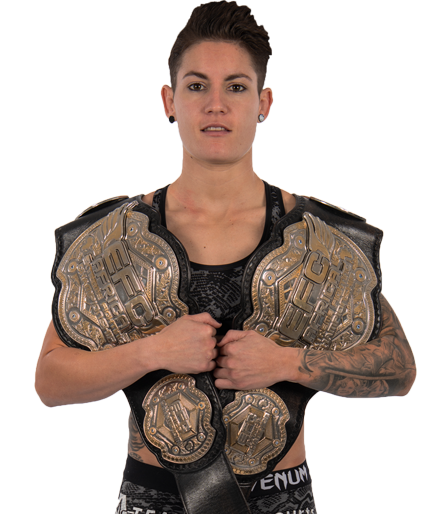 Lino was ecstatic, thanking the Sunshine City for their support as she was crowned the first EFC women’s flyweight champion. “I’m never letting this belt go,” she said, beaming. 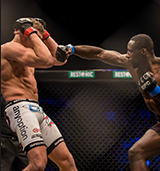 The co-main event, contested between the legendary Martin ‘The Punisher’ Van Staden and the equally famed Leon ‘Iron Lion’ Mynhardt, was a fitting expression of the skill and status of both men. They approached each other with patience, both landing hard intermittent leg kicks, each waiting for an opening for the fists, which suddenly appeared when Van Staden attacked, slipping a Mynhardt punch before landing a glancing straight left followed by a flush right cross. Mynhardt wobbled and fell, desperately trying to regain composure as Van Staden swarmed in. Referee Ferdi Basson had seen enough, however, and pulled ‘The Punisher’ off, giving him victory by TKO in the first round. The ‘Little Giant’ Bokang Masunyane further cemented his growing reputation with a thrilling performance against Durban icon Abdul ‘Hollywood’ Hassan. Masunyane opened the fight with a full backflip, before unloading on the veteran Hassan with multiple aerial attacks and constant takedowns. Hassan showed his experience, keeping his composure throughout and making it impossible for the younger man to finish. The judges finally handed a unanimous decision victory to Masunyane. Roodman vs Meintjies delivered a brutal grappling match. 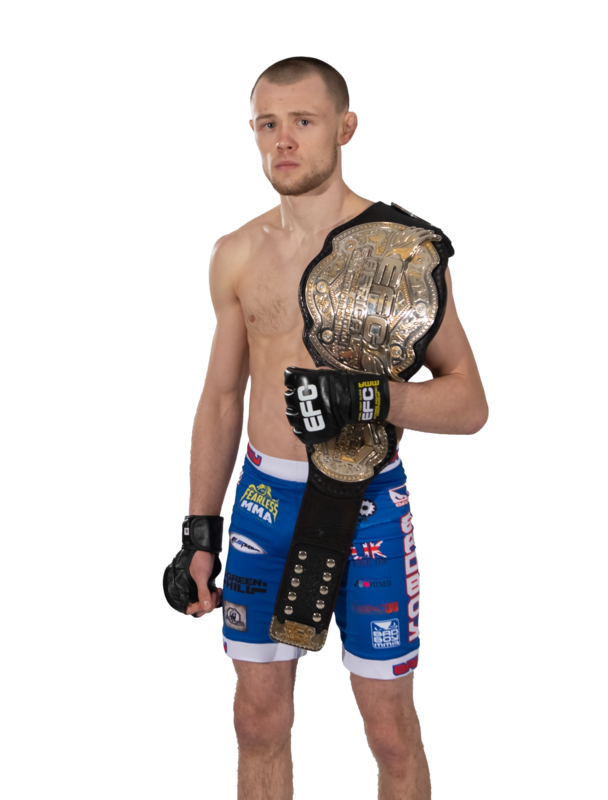 Roodman’s pre-fight analysis was that if he could defend three takedowns he would take the win, but he was unable to achieve his aim. For three rounds they fought a competitive battle on the ground, with Roodman managing to reverse to top position numerous times, all the while absorbing constant ground and pound. It wasn’t enough, and a relentless Meintjies took a decision victory. Marino Cutendana continued his streak of winning form with a calculated performance against main card newcomer Martin De Beer. 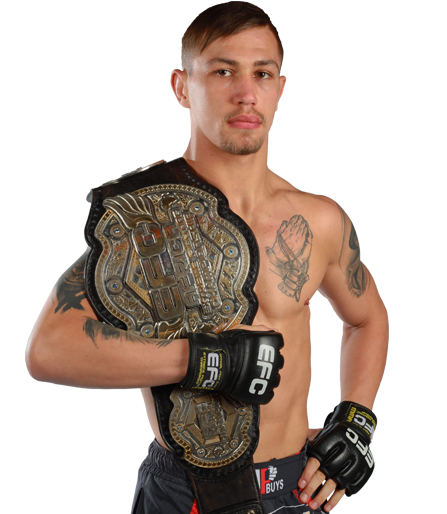 Soon into the first round Cutendana took De Beer down, sank a reverse triangle choke, which he then transitioned to an armbar choke, taking victory by submission. With the victory he puts himself firmly into the top five in the division, and will be eager to see who his next opponent will be. Fight of the Night was awarded to Gary Joshua vs Baldwin Mdlalose. Performance bonuses were awarded to Bokang Masunyane, Martin van Staden, Amanda Lino and Jacqualine Trosee. 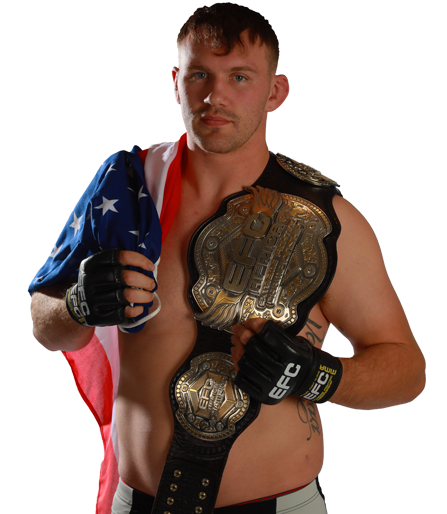 Warren Richards defeated Stephan De La Rey via submission (Rear-Naked Choke) 3:05 in round 1. Dansheel Moodley defeated Roevan de Beer via unanimous decision. 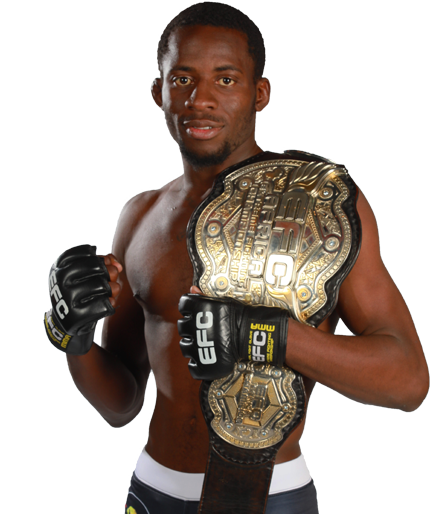 Thabani Mndebela defeated Nico Yamdjie via split decision. 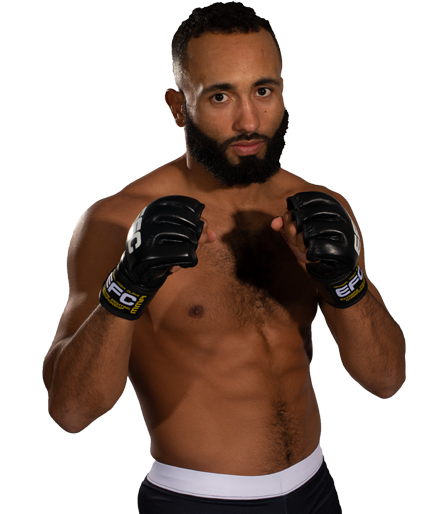 Yusuf Hassan defeated Jesse Fleming via TKO (punches) 1:56 in round 1. Sindile Manengela defeated Sizwe Mnikathi via majority decision. Gary Joshua defeated Baldwin Mdlalose via split decision. Marino Cutendana defeated Martin de Beer via submission (Armbar) 2:30 in round 1. Cameron Meintjes defeated Gordon Roodman via unanimous decision. Bokang Masunyane defeated Abdul Hassan via unanimous decision. Martin van Staden defeated Leon Mynhardt via TKO (punches) 3:19 in round 1. Amanda Lino defeated Jacqualine Trosee via submission (Armbar) 4:53 in round 2. EFC 61: Van Zyl vs Mostert, Dalcha vs Baudot is presented by www.BetXchange.com and takes place on Saturday 8 July live from the Superbowl at Sun City in North West province, RSA. Tickets are on sale soon at www.computicket.com, and the 5 main card bouts will be broadcast live on kwesesports.com (Sub-Saharan Africa), Kwesé Free Sports (Kenya & Rwanda) and live in South Africa on SABC 3 starting at 21:00 (CAT). 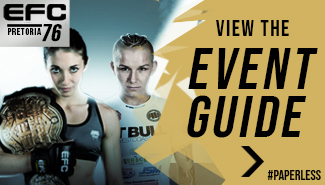 Full broadcast details available on www.efcworldwide.com.